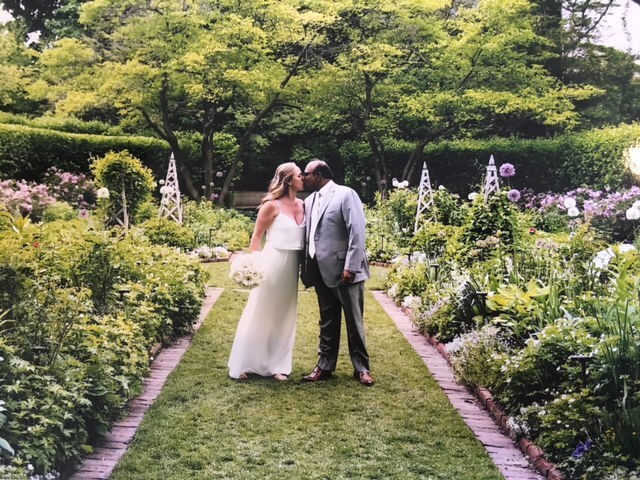 Northwestern's Shakespeare Garden is a lovely location for a small wedding or a photo shoot after a wedding. Located in a quiet section of the Evanston campus directly east of the Ford Motor Company Engineering Design Center at 2133 Sheridan Road, the eight-bed garden is hidden from view by a double wall of hawthorn hedges. The Howes Memorial Chapel is to the south and belongs to Garrett Seminary. The 70 by 100 foot plot of land was established in 1915 when it became a project of The Garden Club of Evanston to commemorate the 300th anniversary of William Shakespeare's death. The garden is maintained by volunteer members of the Garden Club of Evanston. Information about renting the garden is attached. Proceeds go toward the purchase of plant material and other costs of the garden.